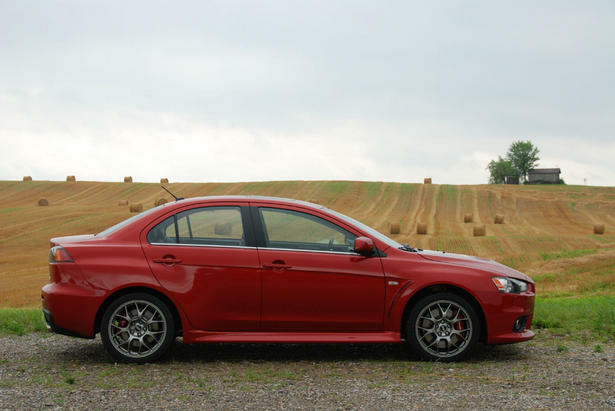 Like its main rival, Subaru’s ($38,89 WRX STI, the Mitsubishi Lancer Evolution’s sole reason for being was to win races in the World Rally Championship. But with both Japanese automakers now out of the WRC, it may be easy to forget what a performance beast the Evo GSR continues to be. Matched to a five-speed manual box, a turbocharged, 2.0-litre four-cylinder engine powers the Evo GSR to the tune of 291 hp and 300 lb.-ft. of torque. Aided by the Mitsu’s key party trick — Super All Wheel Control, with an active centre differential, yaw/stability controls, and Sport ABS — the four-door sedan can spank off 0-100 km/h in the mid-5 second range all day long. smell of raw gas while driving..